Examination of the teeth and their supporting structures is today unthinkable without the use of radiological methods. 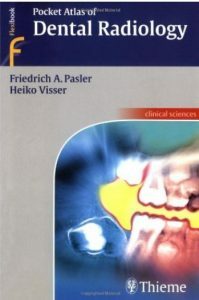 This book provides numerous problem-solving tips covering the basics of obtaining X-rays of the teeth, quality control, image processing, radiological anatomy, and radiological diagnosis. Quick access to information, easy learning, and efficient acquisition of knowledge make this book a very practical tool for day-to-day work. Didactic concept: The classic Thieme Flexi format, with concise text on the left and excellent illustrations on the right hand page of more than 150 double page spreads. Emphasis is placed on: – examination techniques, radiation safety, quality control – conventional and digital imaging modalities – radiological anatomy, solving problems of localization – adjunct examinations with CT, MR imaging, and others.